With Triad Connection, traveling to and from RDU airport has never been easier. We provide safe and reliable door to door airport transportation throughout the Durham, Chapel Hill, Raleigh, Cary, Greensboro, Charlotte, Winston Salem, Burlington, Roxboro, Greenville areas, and throughout North Carolina. Try our RDU to GSO shuttle service. 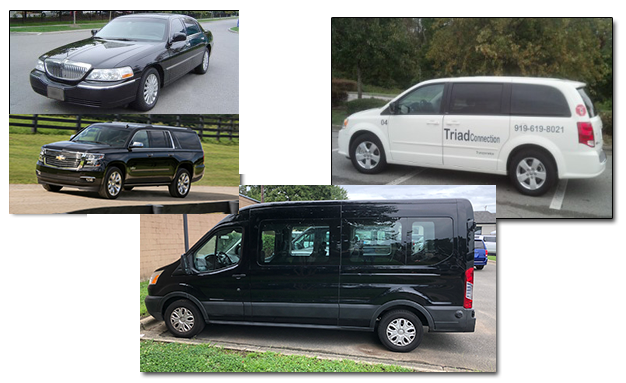 Unlike most transportation services, we strive to cater to your individual needs... Military personnel to and from North Carolina Bases, Hotel Transfers, Corporate Transportation, Airport Shuttle Service, RDU-PTI-CLT Airport Transfers, Weddings & Event Services, Concerts, Date Night, Clubbing and more. Our drivers are professional, courteous, friendly and on time. New and Clean Vehicles, Limousine, 15-passenger vans and SUVs available, Local and Long Distances, Transportation to Several Military Bases, Shuttle to Airport, Doctors Appointments, Hospitals, Colleges & Universities, Available 24×7. Call today. Read customer reviews on Google+ by clicking here. 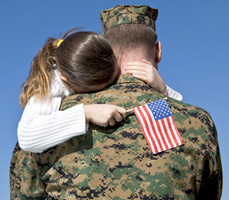 Military Bases - We regularly transport military personnel to and from military bases around North Carolina. Camp Lejune, Fort Bragg, Seymour Johnson and more.